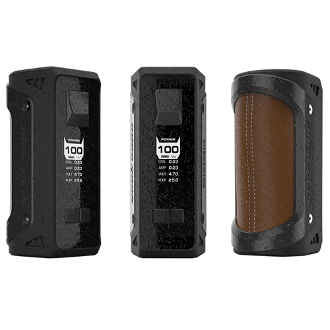 The Aegis is the ultimate companion for the Vaper who lives life on the edge! It was designed to be water, shock, and dust resistant giving you inner adventurer a great mod to take on the go. This Mod can go up to 100 Watts and supports nickel 200, titanium, and stainless steel 316 wire in temperature control mode. It has an instant firing speed of an approximate 0.015 seconds when the fire button is pressed. The Aegis needs a 18650 or a 26650 battery to power it depending on the users preference, as the mod comes with a battery adapter sleeve.